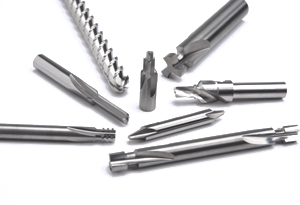 Tooling types: Stark Industrial specializes in precision cutting tools such as carbide end mills, drills and reamers . Step tools: Tools with more than one diameter are commonly called step tools. This type of tooling is is generally always special, but Stark Industrial can manufacture your simplest or most complicated tooling requirement. 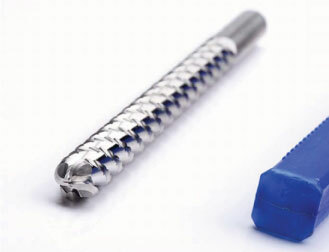 Materials: Our precision cutting tools are manufactured from high speed steel to solid carbide. Coatings: We offer quick turn-around on coating services. If you're unsure as to which coating is right for your application, call us. Facility: We manufacture our specialty cutting equipment on our well-maintained, high-accuracy machines in our 25,000 sq. ft. temperature-controlled facility in North Canton, Ohio. Drawing Formats: Popular drawing formats can be accepted electronically. Stark Industrial's engineers can work with your specifications to design specific tools for virtually any job. Quality Control: QC is an integral part of production. Stark Industrial's gage lab includes both conventional and digital instrumentation. Hardness testing, contour tracing, and coordinate measurement (CMM) are performed on a routine basis. All instrumentation is calibrated using standards traceable to NIST.